I you are interested in beers and might want to start brew your self I would suggest you join a homebrewing club. 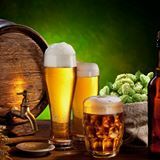 It is a great way to get to know people already into brewing and a good way to get contact with suppliers of homebrewing equipment, malt, yeast etc. In the club you could share equipment, recipes, knowledge and so on. They all have regular meetings, annual festivals, e-mail lists and so on. and let’s get this thing going! Hi Mark! I did not know about the R90 / meeting. I only have experience from SouthYeasters in CT and they are “free of charge”. Bring along and share that is! It is a really good thing to share beer with other brewers because they can often help you out with things (not just “good” or “bad”). Good luck with your initiative! Really late comment, but the R90 (which is now around R120) includes food and drink. 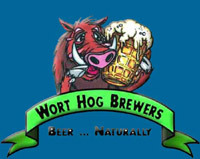 Hi guys, im staying in middelburg mpumalanga, any clubs close buy or fellow brewers.